The first official ‘ Apollo 18′ trailer takes viewers back to the moon, using ‘real’ documented footage from the 1970s to explain why Apollo 18 was our last adventure there. Apollo 18, is a sci-fi horror story that is based on the man’s first moon mission. Speaking on the moon mission, the very fact on what happened on the moon is kept secret for almost 50 years now. NASA has not yet explained on the claims made by critics of moon landing being fake or why haven’t there is no manned journey towards the moon for nearly half century since the last visit. “Are we on the verge of knowing what really happened on the moon”??? The movie tagline, “There’s a Reason We’ve Never Gone Back to the Moon” seems to explain what we can expect from the movie. 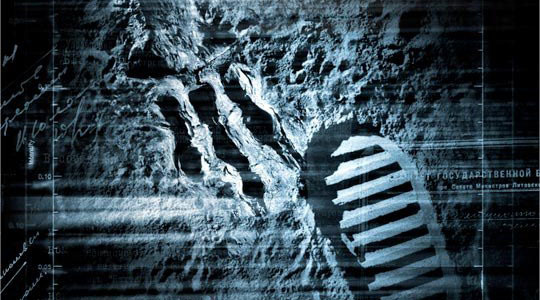 The first Apollo 18 poster release depicted an astronaut footprint beside that of an… alien. The Weinstein Company has debuted the official trailer on Apple for their found footage sci-fi film Apollo 18, directed by Spanish editor/filmmaker Gonzalo López-Gallego. The original screenplay was written by Brian Miller (Paracusia) & Cory Goodman (Priest). The movie is set to be released this April 22,2011. Previous: Google Docs added with 12 new formats!